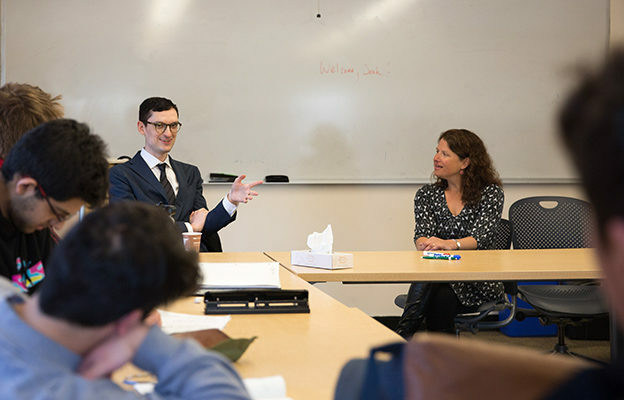 “I’ve always been greatly interested in the trappings of celebrity,” says Josh Duboff ’04, a senior writer for Vanity Fair and a leading voice in celebrity journalism. In addition to writing about actors, musicians, and influencers, he has a keen interest in the people who surround and support famous individuals. In a recent story about social media’s role in celebrity status, he turned his attention to the social media managers behind the big names. 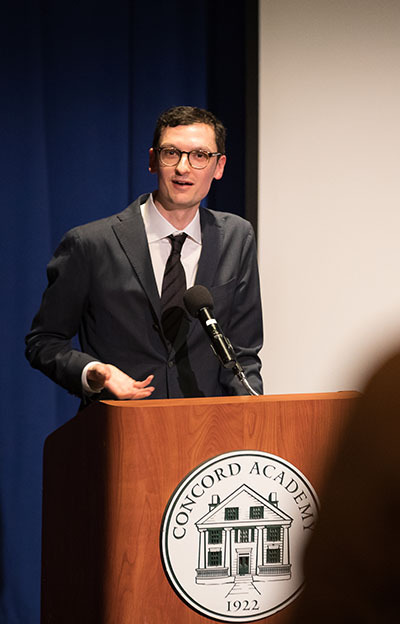 Duboff shared his insights into reporting on entertainment and popular culture as Concord Academy’s 2018–19 Hall Fellow on March 27 and 28. The first evening, he spoke with more than 40 members of the CA parent and alumnae/i community over dinner, focusing on the changing permutations of media in the digital age. 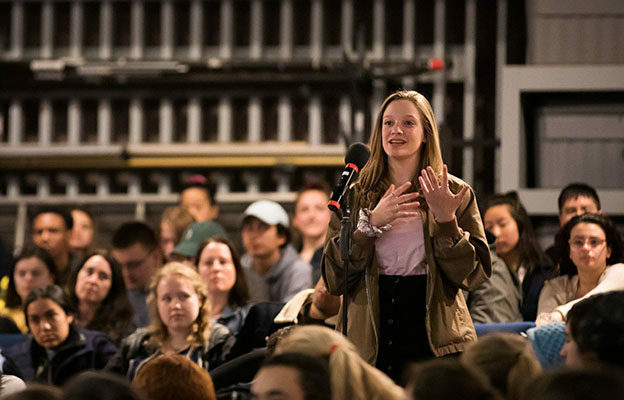 And he took part in a Q&A session moderated by Helen Wu ’19 and Izzy Charles ’19, editors of the student newspaper, The Centipede, which Duboff had led while a student at CA. The next day, the 12 students in English teacher Alison Lobron’s creative nonfiction writing course had an opportunity to ask Duboff about the differences in writing for print and the web and how stories are developed or assigned. Duboff shared thoughts on why the best interviews are two-way exchanges and why he always talks to celebrities just as he talks with everyone else. By example, he showed the importance of staying on top of trends. Though the students were questioning him, he took the opportunity to do some research himself, asking what celebrities they most like to read about and how aware they are of publications when they read stories online. “Celebrity culture can be toxic,” he told them. “As a culture, we like to build up celebrities and then watch them fall. I’ve seen them at all stages of that trajectory.” His focus in writing about celebrities is teasing out the moments and details through which they show themselves at their most unguarded and relatable, their most human. Duboff spends a great deal of time preparing for interviews, and in readying himself for his Hall Fellow Lecture, he excavated the chapel talk he gave as a CA senior. He reflected on the 18-year-old boy who, upon revisiting, wasn’t so different from who Duboff is today, with the same vulnerabilities and preoccupations. And he reflected on the “feeling of safety and inclusion, this value placed on both introspection and self-expression as embodied by the chapel tradition and the tenets of common trust and academic honesty” at Concord Academy. The school was, he said, “a place that made you feel like your words were always valid, your ideas were always worth sharing, and that your emotions were not something to hide but rather to protect and nurture.” The talent for listening that those chapel talks instilled in him he finds crucial to his work today. Duboff has been a writer since childhood, and after majoring in history in college, he found that lifelong calling shaping his career. 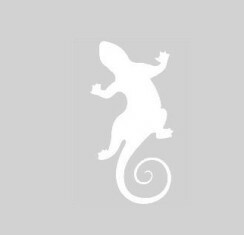 He worked first as a consultant at a brand-identity firm in New York City, where he learned the skills of collaboration and compromise and gained an understanding of the intensely constructed nature of public identity and brands. And in his free time, he started a personal blog. When he was 24 years old, that blog caught the attention of an editor at New York Magazine who offered Duboff an audition for a night blogger position. Though the nocturnal schedule turned his life upside down, it was an easy decision for him. The work of generating 10 stories a night built his confidence that he could write his way out of any predicament. Duboff has written a play that debuted in the New York International Fringe Festival: Scarlett Fever, a romantic comedy about a young woman dating someone who turns out to be the actress Scarlett Johansson’s twin brother. He also wrote and directed the web series Twenty Five, about three young friends struggling to figure out their lives and careers in New York City. He found that collaborative work so intensely gratifying that once, prompted by a makeup artist’s suggestion, he did something totally uncharacteristic of him, dying his hair pink. He continues to use that act as a barometer of sorts: “Find that thing in your life — a person, a project, an adventure — that takes you to the place where you’re willing to embody your freest, least self-conscious self,” he advised CA students. When he was 27, Duboff accepted a job at Vanity Fair, a publication that had been iconic to him growing up. In addition to his writing work at the magazine, for the past two years, he has co-hosted the Vanity Fair pop-culture podcast In the Limelight with Julie Miller. A turning point in his career was the assignment to write a 2015 Vanity Fair cover story on singer-songwriter Taylor Swift. “It was pretty incredible to have the chance to profile someone I admired so deeply,” Duboff said in his talk. He traveled to London to interview her. “I was struck most with how self-aware and articulate she was about her work and self-image,” he said. “She had such a canny sense of where public sentiment was about her, how different actions of hers had been interpreted, and most of all, a sense of humor and humility about herself.” At the same time, he was struck by the “deeply abnormal and logistical circumstances of her life,” which necessitated bodyguards at all times. Duboff detailed how the next day, he watched this person he had come to know as thoughtful and funny and quick perform for a crowd of thousands in Hyde Park, transfigured into a superhero pop star on a global scale. The Hall Fellowship is an endowed program that has brought a wide array of accomplished individuals to Concord Academy to share their life’s work, experience, and knowledge with the CA community. Named for Elizabeth B. Hall, CA’s headmistress from 1949 through 1963 and established by the Concord Academy Board of Trustees in 1963 to honor her tenure. Over the years, this lectureship has brought a wide array of accomplished individuals to CA, from writers to activists to politicians. Read about recent talks by diplomat Cynthia Perrin Schneider ’71, documentary filmmaker Eleanor Bingham Miller ’64, hydroponic farming CEO Sonia Lo’ 84, education expert Howard Gardner P’87, ’90, ’94, planetary scientist Lucy McFadden ’70, Holocaust survivor Edgar Krasa, population geneticist Spencer Wells, and Ishmael Beah, a former child soldier in Sierra Leone.